Here is a list of the three most common types of retail stores that must have storefront window graphics. Without them, these retailers would not be able to capitalize on the foot traffic walking outside their stores. Professional services like financial institutions and banks can significantly benefit from storefront window graphics. It’s vital that the people walking by on the street understand what services these businesses offers. If someone walking by on the street happens to be in need of a particular banking service, they will be able to walk on in and learn more. Health and beauty storefronts absolutely need storefront window graphics. Think about how many times you’ve walked past a nail salon, seen their window graphics looked down at your own neglected fingers and toes and thought ‘gee, I could use a good mani-pedi.’ Boom they got you! In you go to inquire about the price and wait time. Last but certainly not least, restaurants! Not only does a restaurant need storefront graphics to let you know they serve food in there, but if done right you could be totally fine and not hungry at all but the moment you walk past the store and the advertisement is depicting something AMAZING looking, your mouth starts to water and in you go. The fact is, we are all living our lives at two hundred miles an hour these days, and unless something jumps out at us, like a storefront graphic, we could walk around the whole day starving and just not notice that we passed by a restaurant. The same can be said for the financial services and health and beauty retailers. Consumers need to be attracted, it is not enough to just let them know your store is there, you need to engage them with an excellent storefront window graphic! 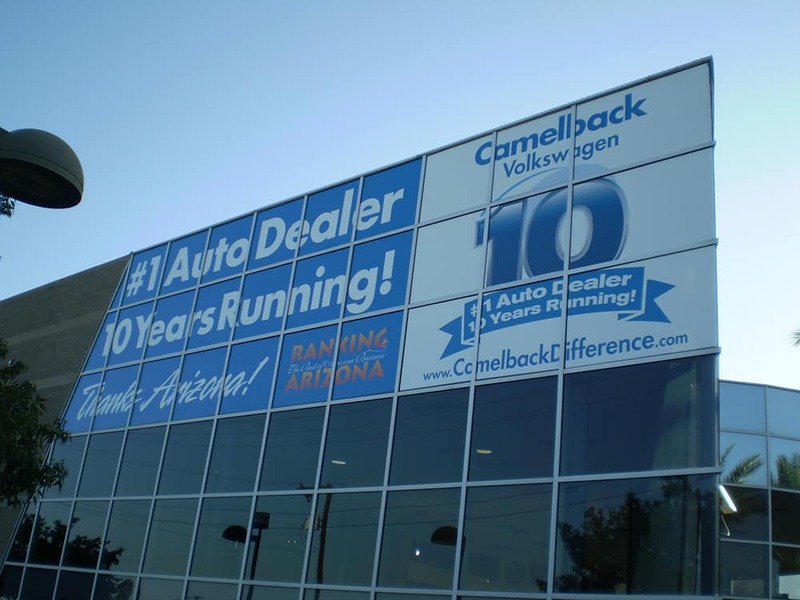 Call azpro today to learn how we can help transform your storefront and increase the foot traffic into your store. We can successfully turn your storefront into an effective marketing tool that grabs the attention of whoever passes by. Is It Time to Refresh Your Retail Signage? ©2018 azpro // All rights reserved.